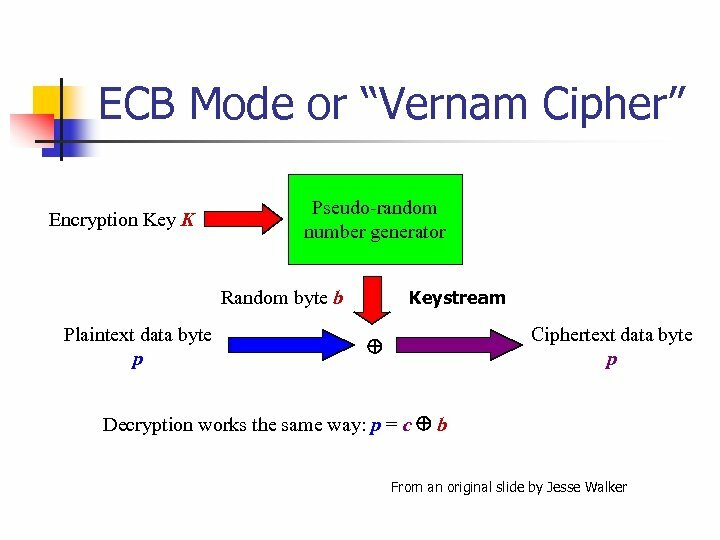 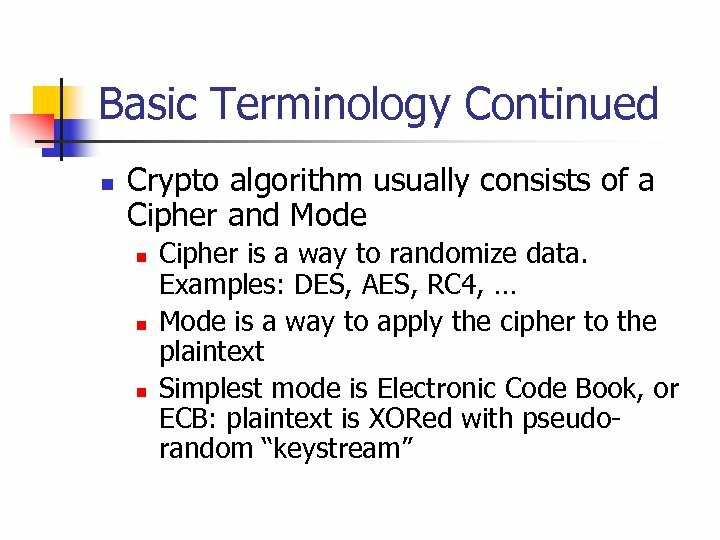 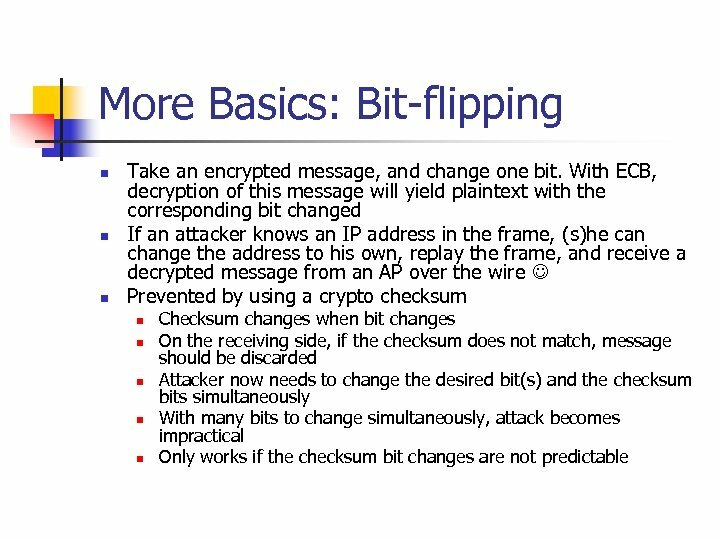 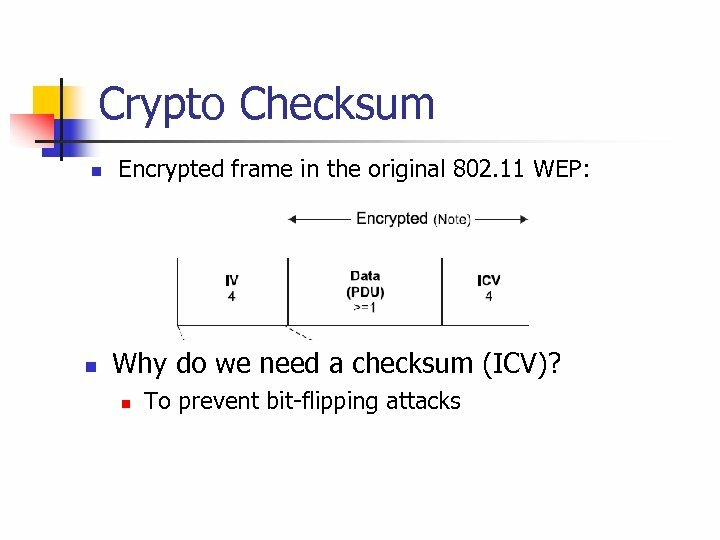 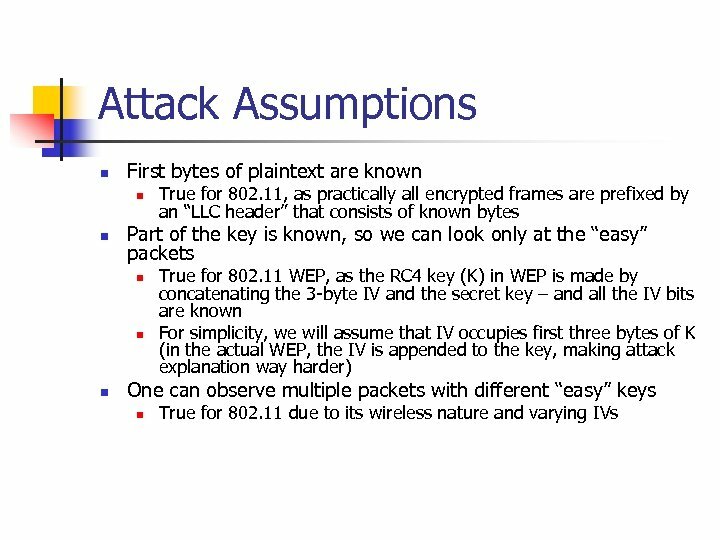 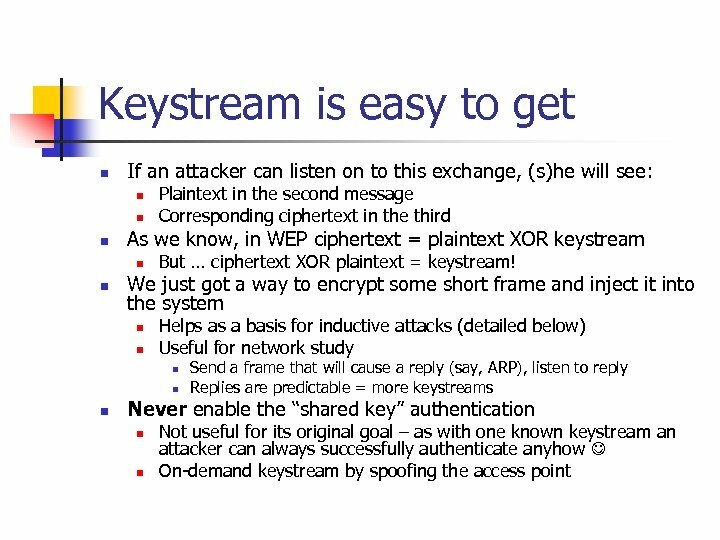 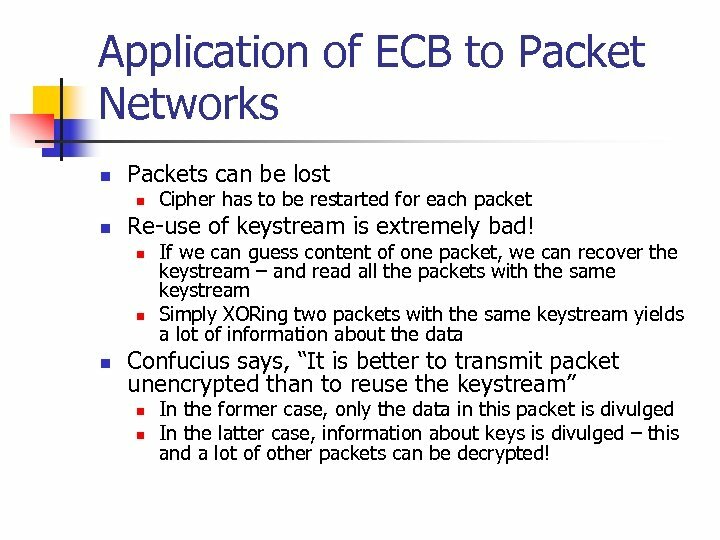 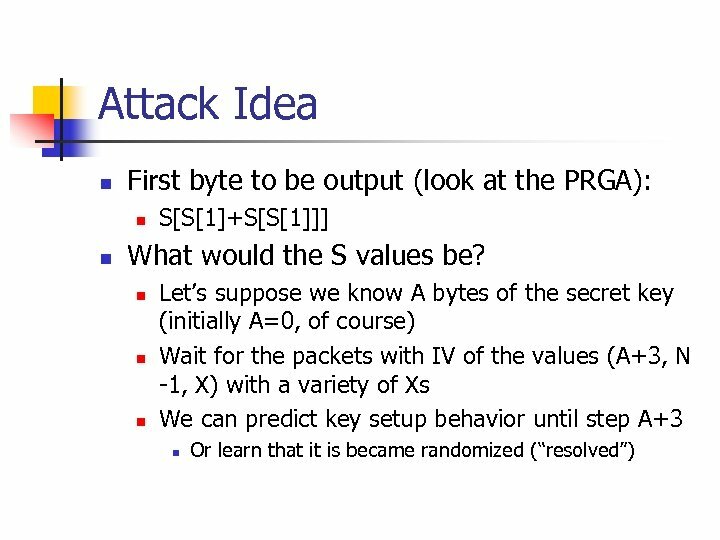 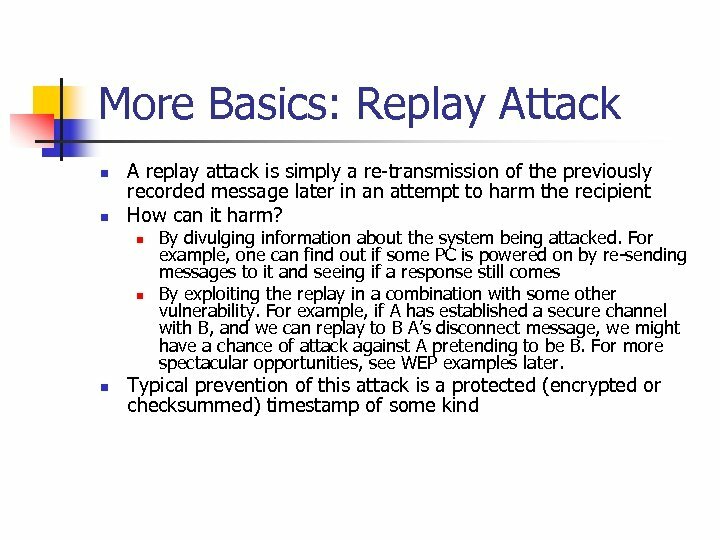 Application of ECB to Packet Networks n Packets can be lost n n Re-use of keystream is extremely bad! 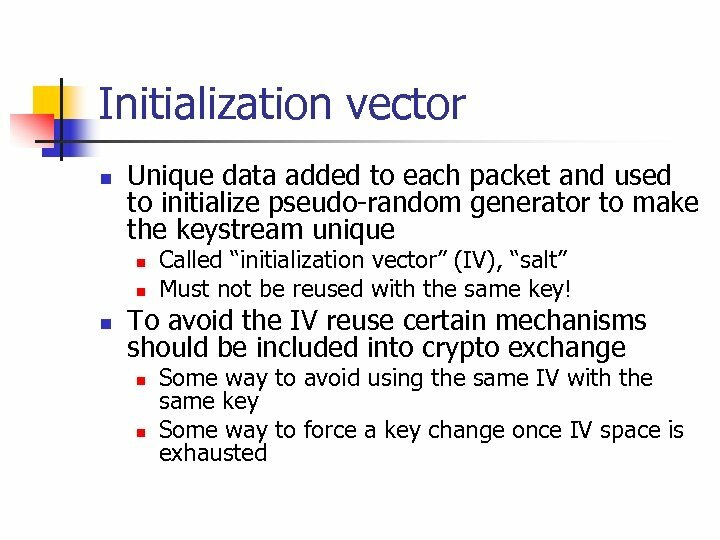 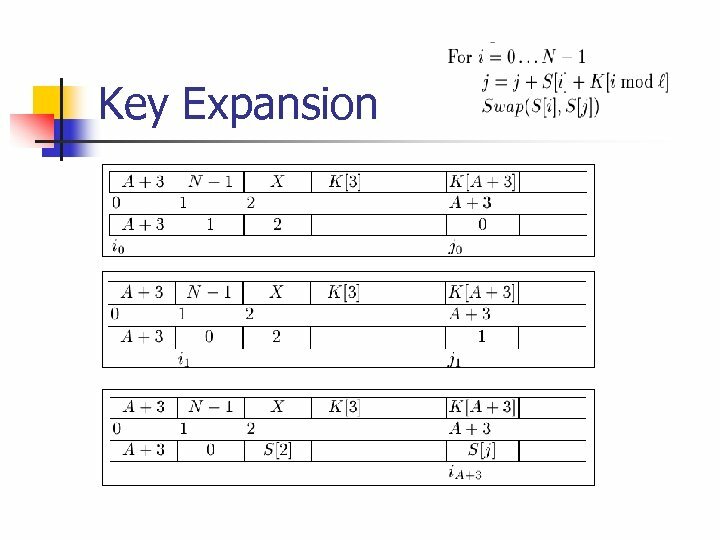 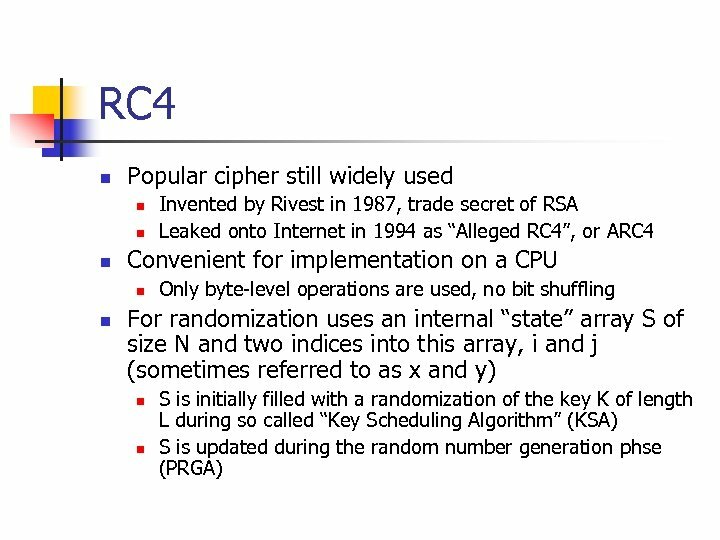 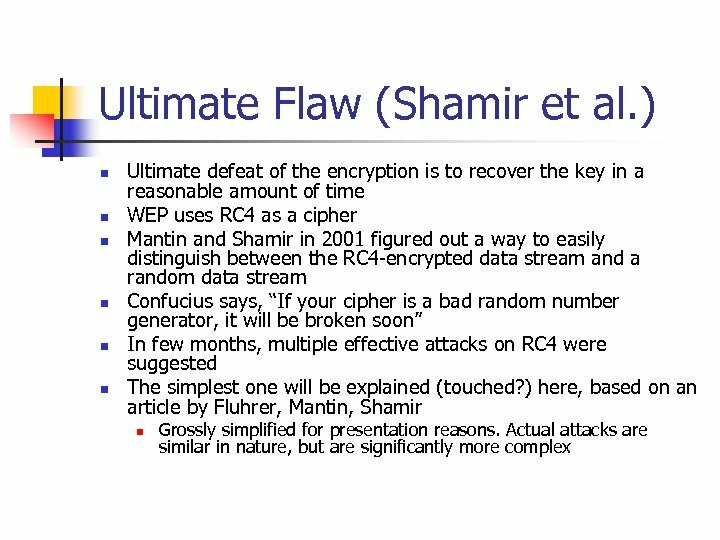 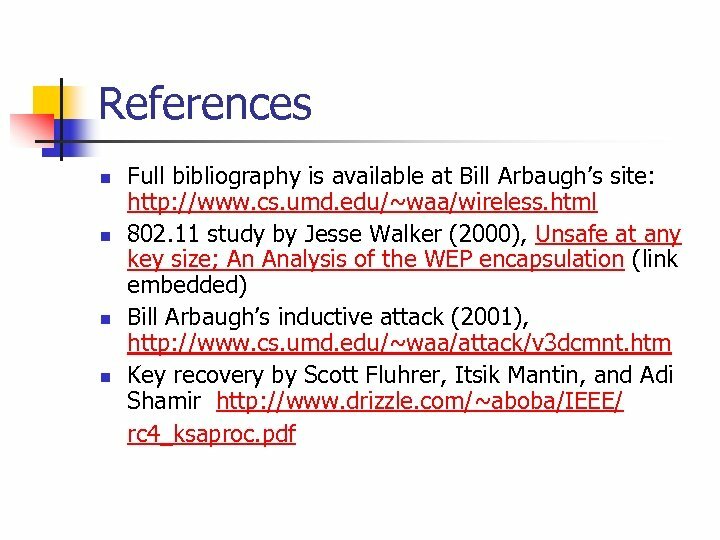 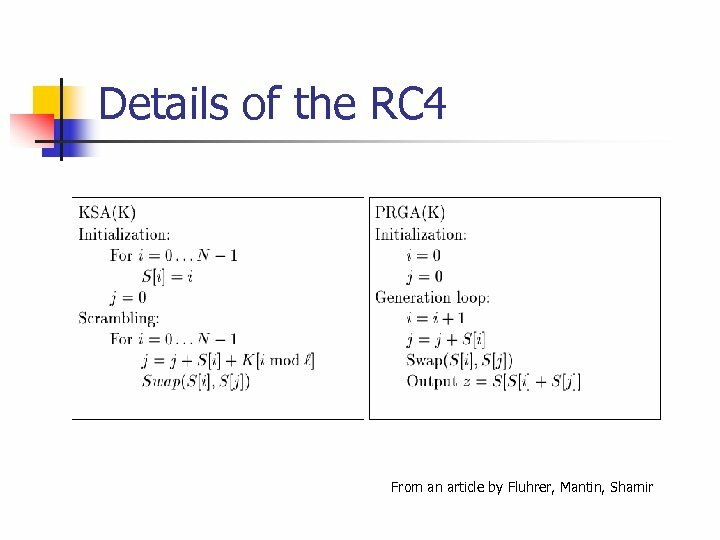 n n n Cipher has to be restarted for each packet If we can guess content of one packet, we can recover the keystream – and read all the packets with the same keystream Simply XORing two packets with the same keystream yields a lot of information about the data Confucius says, “It is better to transmit packet unencrypted than to reuse the keystream” n n In the former case, only the data in this packet is divulged In the latter case, information about keys is divulged – this and a lot of other packets can be decrypted! 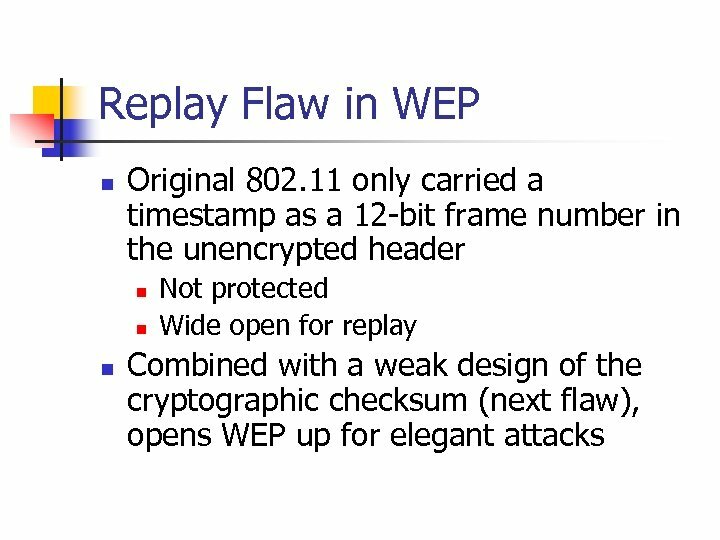 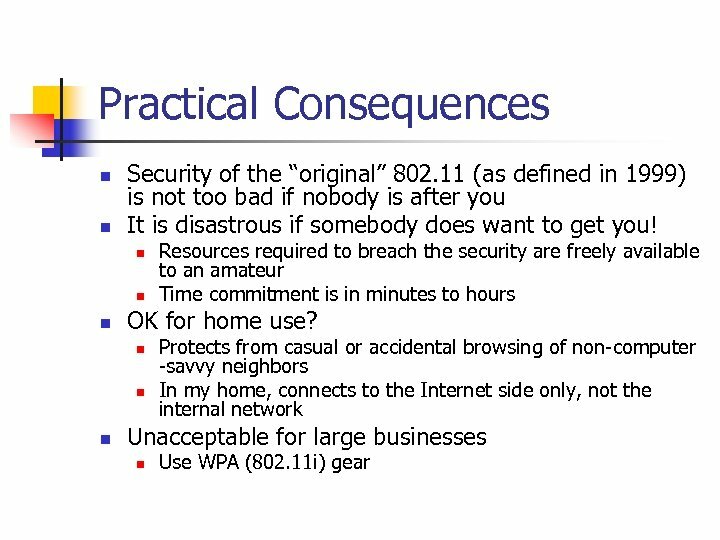 Flaw in the Join Exchange n To join the 802. 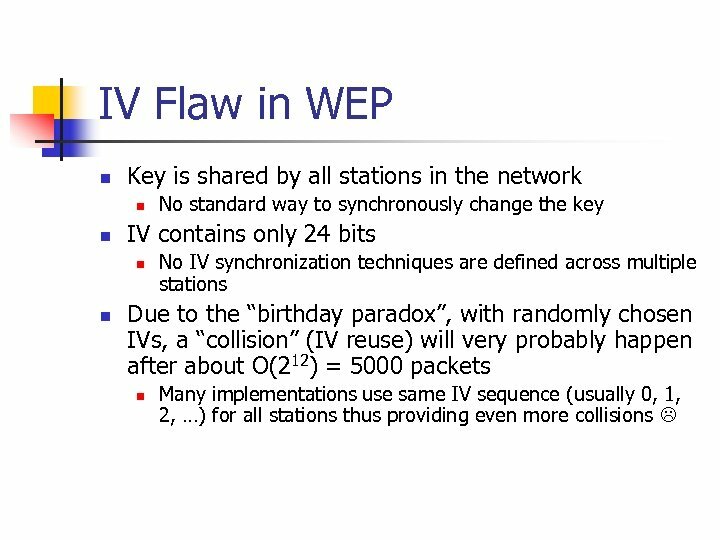 11 network, station has to “authenticate” itself n Open authentication n n “Shared key” authentication is worse! 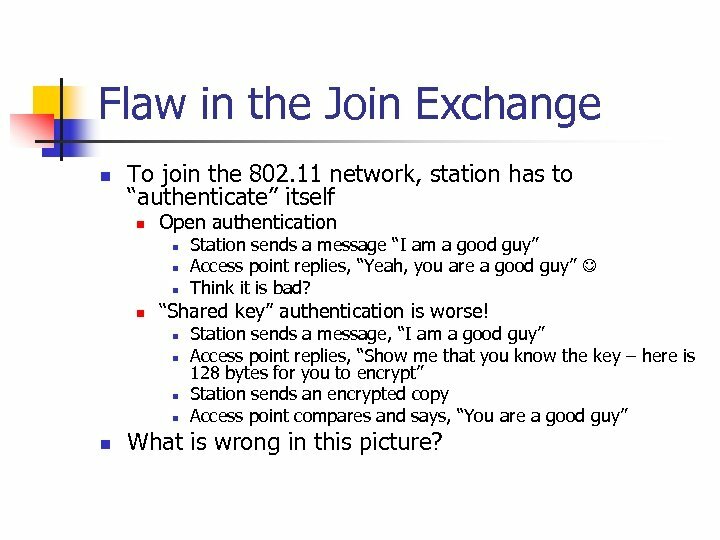 n n n Station sends a message “I am a good guy” Access point replies, “Yeah, you are a good guy” Think it is bad? 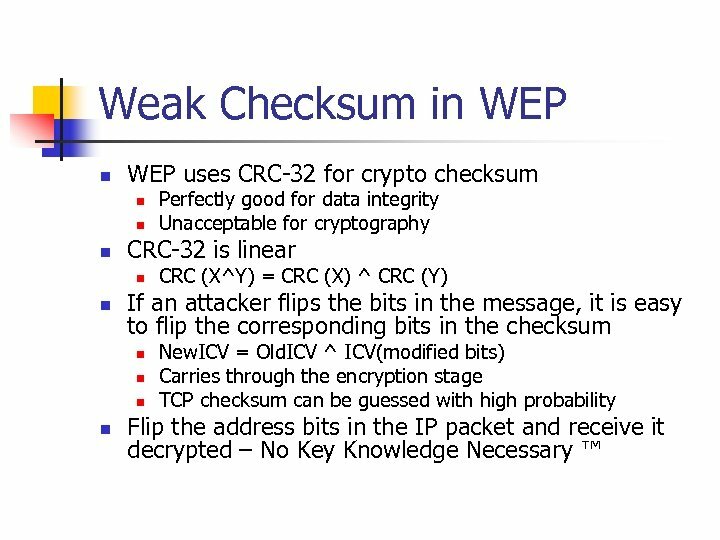 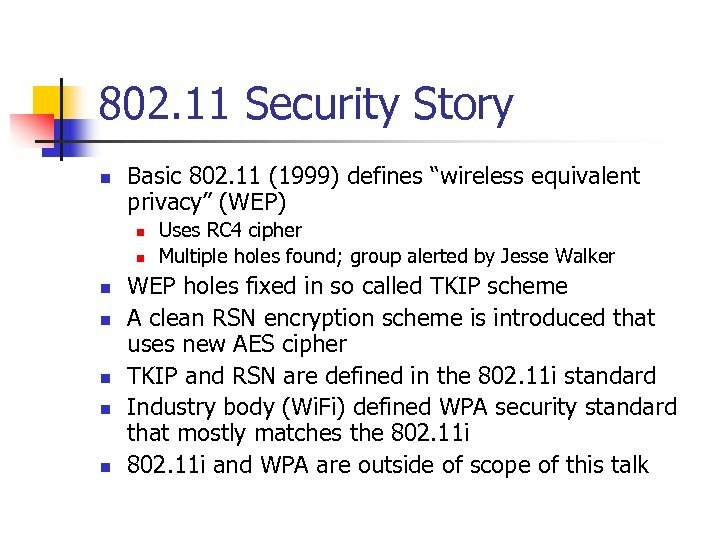 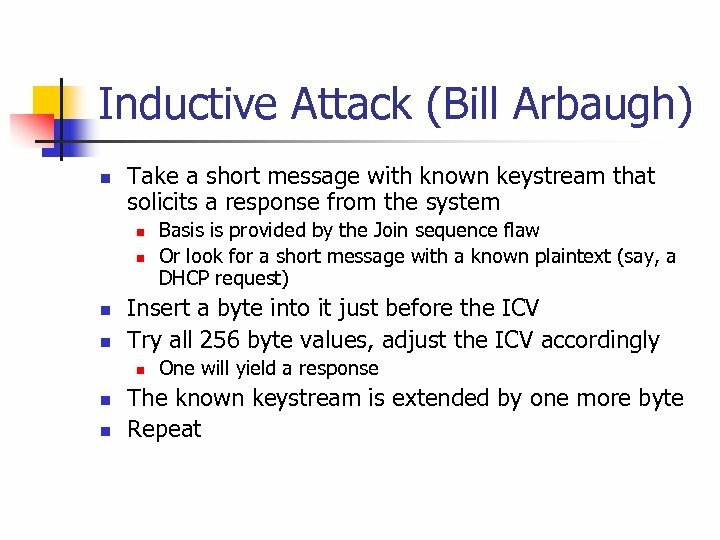 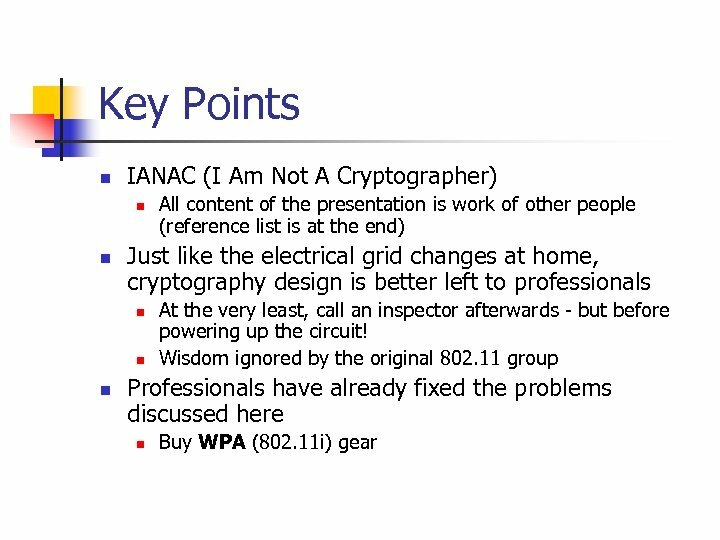 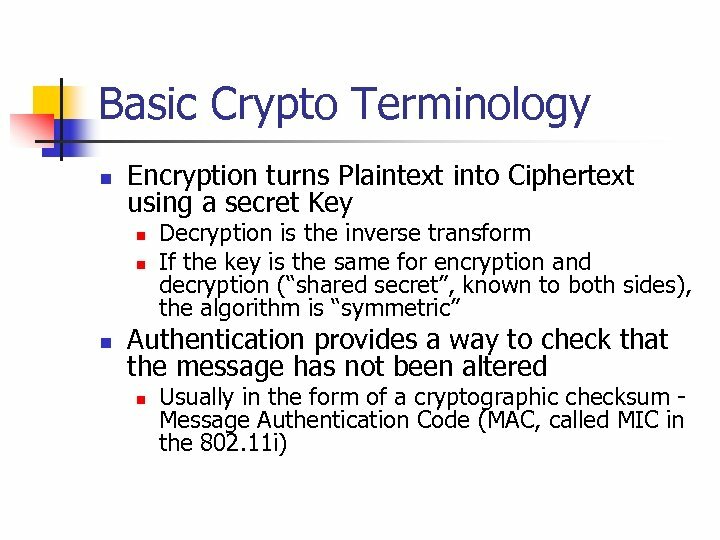 Station sends a message, “I am a good guy” Access point replies, “Show me that you know the key – here is 128 bytes for you to encrypt” Station sends an encrypted copy Access point compares and says, “You are a good guy” What is wrong in this picture?